Mitch Creek chipped in with 12 points and five assists. Australia officially clinched top spot in their qualifying group for this year's FIBA World Cup as a much-changed side eased past Kazakhstan 81-60 at the Saryarka Velodrome Arena in Astana. 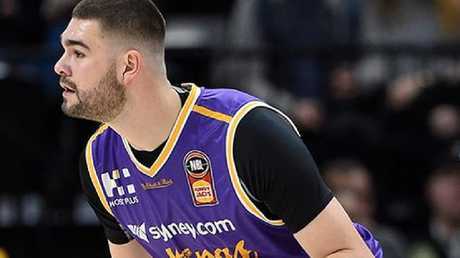 Isaac Humphries led the way with a team-high haul of 17 points and seven rebounds as the Boomers, who have already reached the World Cup in China later this year, claimed another impressive Group F win with one game still to come in the last window of Asian qualifying against Iran (1.30am EDT) on Monday. Ten players made their Boomers debut on the night with 11 hitting the scoreboard, but it was Mitch Creek of NBA G League outfit Long Island Nets who was chief support to Humphries, contributing 12 points and five assists. Kazakhstan opened with two quick three-pointers but Tom Wilson (eight points, six rebounds) and Jock Landale bagged their first international points to calm the visitors' nerves before Humphries came off the bench to plunder eight points in just four minutes. Former Kings star Isaac Humphries turned in on in Kazakhstan. After Tim Coenraad landed from outside the arc to give Australia a seven-point edge at quarter-time, Humphries moved into double-figures in the second period before a Creek three-pointer gave Australia a double-digit lead. Kazakhstan's Anthony Clemmons helped cut the deficit to six but the Boomers soon re-established their dominance through a Wilson drive, with Coenraad adding a three-pointer. 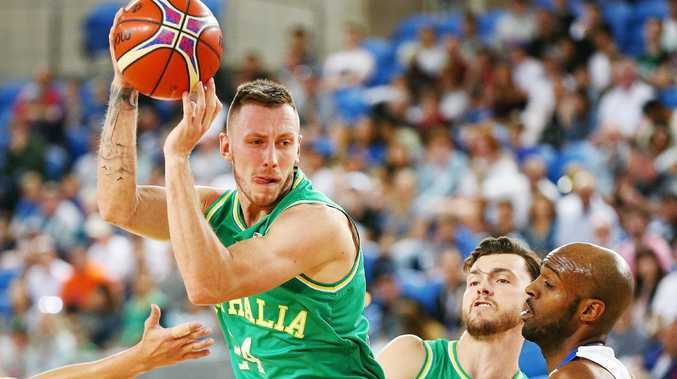 Australia's defence was also impressive, holding the hosts to eight points for the third period while Lucas Walker (eight points) and Landale (10 points, five rebounds) kept the scoreboard ticking over in the final period as Harry Froling and Daniel Grida carded their first Boomers points.